What will happen when hydrogen peroxide is mixed with yeast (a catalyst)? We predict that the yeast will help remove the oxygen from the hydrogen peroxide. When the yeast mixes with the hydrogen peroxide, it will turn the hydrogen peroxide (H2O2) into water (H2O) and oxygen gas (O2). 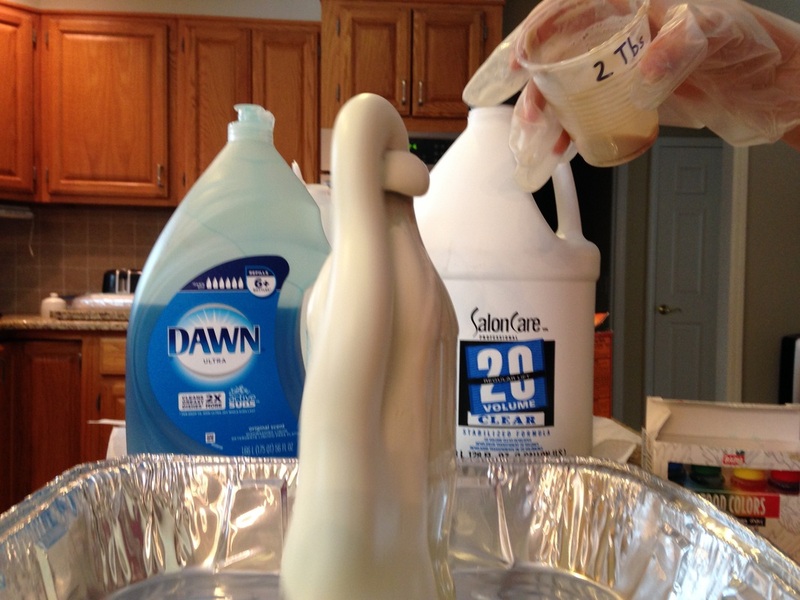 The dish soap will cover the oxygen gas and that will make the foam. When you do this project, make sure you wear gloves. Hydrogen peroxide can bleach your clothes and hair. Pour 1 tablespoon of yeast into a small cup and add 3 tablespoons warm water. Stir and set aside. Pour ½ cup of hydrogen peroxide in the bottle. 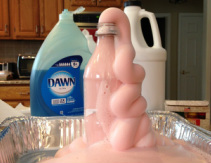 Pour 1 tablespoon of dish soap into bottle and swirl to mix. Add 4 drops of food coloring into the bottle and swirl to mix. Add yeast mixture from step 1 (using funnel if needed). Take the funnel out, step back and enjoy. 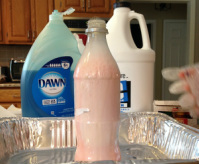 We recommend putting putting the bottle in the middle of a tray because when yeast, hydrogen peroxide, and dish soap mix, it makes a lot of foam. What happened when we changed the amount of yeast? We took a picture right after we poured in the yeast mixture. We took another picture 30 seconds after we poured in the yeast mixture. The more yeast we used, the faster the reaction. As you can see from our pictures, when we used 2 tablespoons of yeast, the reaction started before we could finish pouring in all of the yeast mixture. The yeast is a catalyst (helper) that takes the oxygen out of the hydrogen peroxide. Oxygen is clear. 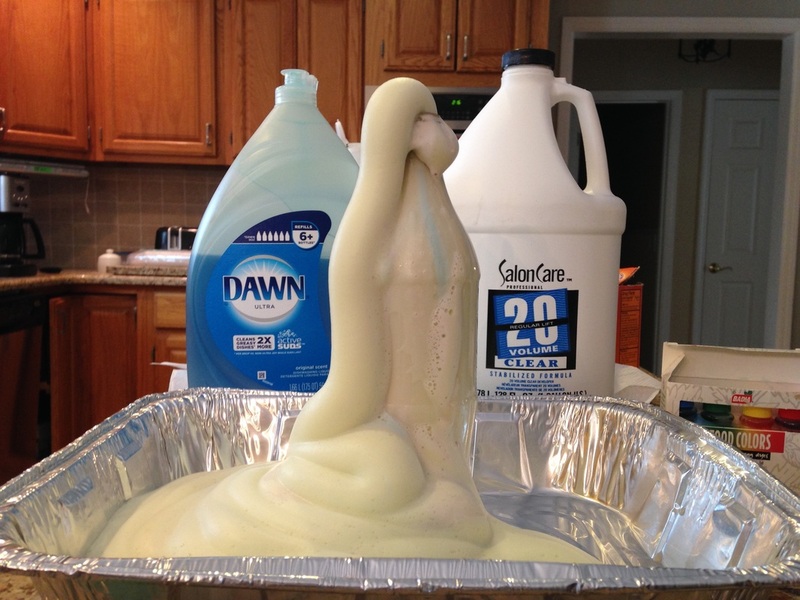 The dish soap covers the oxygen and makes foam to show us that the oxygen is coming out. When the yeast (catalyst) and hydrogen peroxide mixed together it foamed out of the bottle very quickly and then it slowed down. We learned that a soda bottle worked better than a Gatorade bottle. 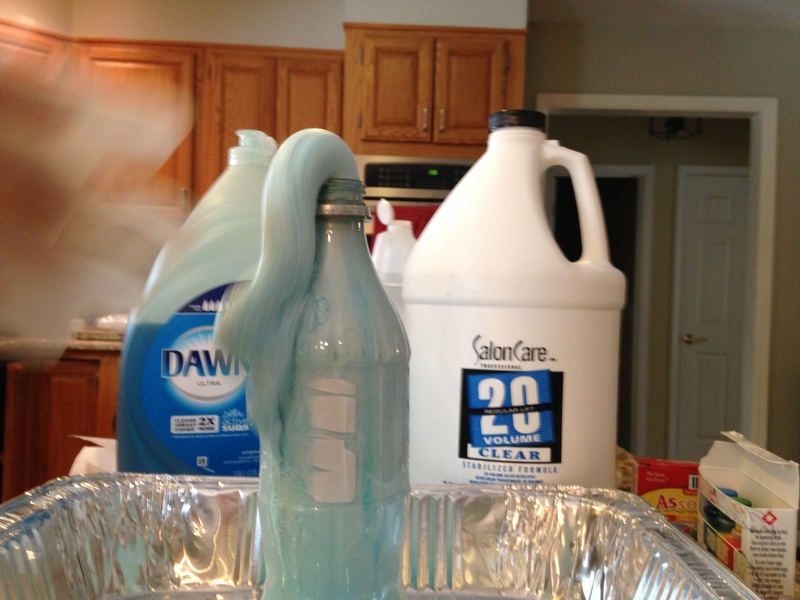 It foamed faster because the soda bottle has a more narrow opening than the Gatorade bottle. Even though the soda bottle worked better, the Gatorade bottle worked well. We also learned that when we used more yeast (our catalyst), we saw a faster reaction with the hydrogen peroxide. Hi I am Ashley Moon. My hobbies are soccer, lacrosse, and basketball. I chose this project because I have a lot of experience with it. My brother, Robert and his friend Vincent demonstrated Elephant Toothpaste at the 1st Hands On Science Fair. 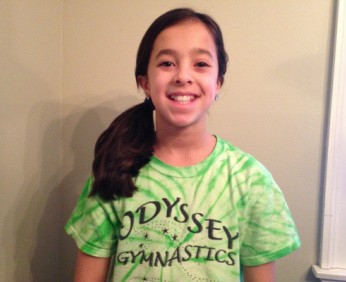 Hi my name is Isabella Del Vecchio.I like to do gymnastics and play outside. 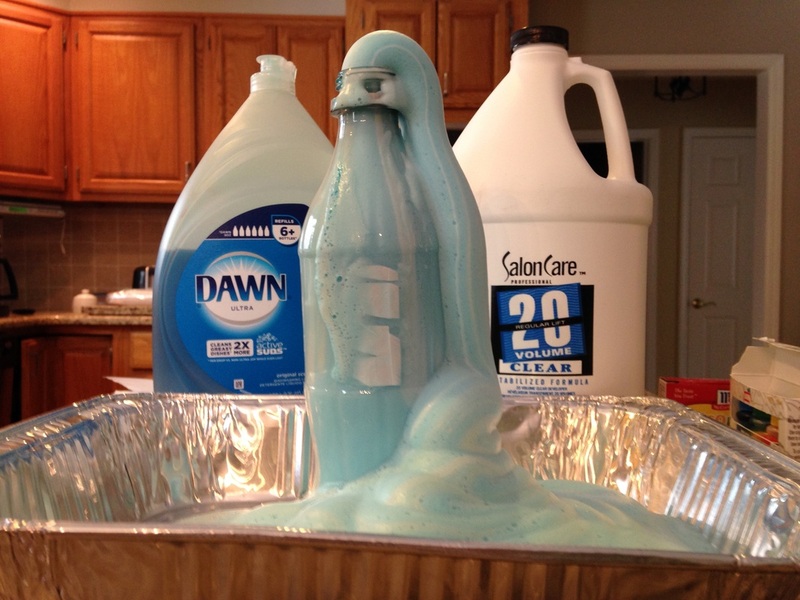 I chose this project because I thought elephant toothpaste looked like a cool, interesting and fun project to try at the Hands On Science Night.